Approbation – approval or agreement; commendation. This is a giant block of whatever is most difficult for you to carry & trust me on this, you’ll carry it more times than you can count until you decide that’s exactly what you want to do most & then it won’t weigh a thing anymore. – Weight Training © 2014 Brian Andreas – posted with permission. Get your facts first, then you can distort them as you please. – Mark Twain. 32 Jesus Christ ascended into Jerusalem on the first Palm Sunday. 193 Septimius Severus was proclaimed Roman Emperor by the army in Illyricum. 475 Byzantine Emperor Basiliscus issued a circular letter (Enkyklikon) to the bishops of his empire, supporting the Monophysite christological position. 1241 Battle of Liegnitz: Mongol forces defeated the Polish and German armies. 1413 Henry V was crowned King of England. 1440 Christopher of Bavaria was appointed King of Denmark. 1682 Robert Cavelier de La Salle discovered the mouth of the Mississippi River, claimed it for France and named it Louisiana. 1850 – Nine Sisters of Mercy arrived in Auckland on the Oceanie with Bishop Pompallier and a number of priests. 1860 The oldest audible sound recording of a human voice was made. 1865 American Civil War: Robert E. Lee surrendered the Army of Northern Virginia (26,765 troops) to Ulysses S. Grant at Appomattox Courthouse, Virginia, effectively ending the war. 1865 Birth of Charles Proteus Steinmetz, German-American mathematician and electrical engineer (d. 1923). 1867 Chris Watson, third Prime Minister of Australia, was born (d. 1941). 1867 Alaska purchase: Passing by a single vote, the United States Senate ratified a treaty with Russia for the purchase of Alaska. 1898 Paul Robeson, American singer and activist, was born (d. 1976). 1909 The U.S. Congress passed the Payne-Aldrich Tariff Act. 1916 World War I: The Battle of Verdun – German forces launched their third offensive of the battle. 1917 World War I: The Battle of Arras started with Canadian Corps executing a massive assault on Vimy Ridge. 1918 World War I: The Battle of the Lys – the Portuguese Expeditionary Corps was crushed by the German forces during the Spring Offensive on the Belgian region of Flanders. 1926 Hugh Hefner, American entrepreneur and publisher, was born. 1932 Unemployed workers in Dunedin reacted angrily to the refusal of the Hospital Board to offer assistance, protesters stoned the mayor’s relief depot and tried to storm the Hospital Board’s offices, before being dispersed by police batons. 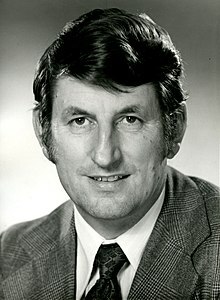 1934 – Bill Birch, New Zealand politician, was born. 1937 The Kamikaze arrived at Croydon Airport – the first Japanese-built aircraft to fly to Europe. 1939 Marian Anderson sang at the Lincoln Memorial, after being denied the right to sing at the Daughters of the American Revolution’s Constitution Hall. 1940 World War II: Germany invaded Denmark and Norway. 1942 World War II: The Battle of Bataan/Bataan Death March – United States forces surrendered on the Bataan Peninsula. The Japanese Navy launched an air raid on Trincomalee; Royal Navy aircraft carrier HMS Hermes and Royal Australian Navy Destroyer HMAS Vampire were sunk off the island’s east coast. 1945 World War II: The German pocket battleship Admiral Scheer was sunk. 1945 – World War II: The Battle of Königsberg, in East Prussia, ended. 1945 – The United States Atomic Energy Commission was formed. 1947 The Glazier-Higgins-Woodward tornadoes killed 181 and injured970 in Texas, Oklahoma, and Kansas. 1947 – The Journey of Reconciliation, the first interracial Freedom Ride started through the upper South in violation of Jim Crow laws. The riders wanted enforcement of the United States Supreme Court’s 1946 Irene Morgan decision that banned racial segregation in interstate travel. 1948 Jorge Eliécer Gaitán’s assassination provoked a violent riot (El Bogotazo) in Bogotá, and a further ten years of violence in Colombia known as La violencia. 1948 – Massacre at Deir Yassin. 1952 Hugo Ballivian’s government was overthrown by the Bolivian National Revolution, starting a period of agrarian reform, universal suffrage and the nationalisation of tin mines. 1957 The Suez Canal in Egypt was cleared and opened to shipping. 1959 Mercury program: NASA announced the selection of the United States’ first seven astronauts,- the “Mercury Seven“. 1965 Astrodome opened and the first indoor baseball game was played. 1967 The first Boeing 737 (a 100 series) made its maiden flight. 1968 Martin Luther King Jr’s funeral. 1969 – Paula Bennett, National Party Cabinet Minister and Upper Harbour MP, was born. 1969 The “Chicago Eight” pled not guilty to federal charges of conspiracy to incite a riot at the 1968 Democratic National Convention in Chicago, Illinois. 1969 The first British-built Concorde 002 makes its maiden flight from Filton to RAF Fairford. 1975 The first game of the Philippine Basketball Association, the second oldest professional basketball league in the world. 1978 Rachel Stevens, English singer (S Club), was born. 1989 The April 9 tragedy in Tbilisi, Georgian SSR an anti-Soviet peaceful demonstration and hunger strikes, demanding restoration of Georgian independence was dispersed by the Soviet army, resulting in 20 deaths and hundreds of injuries. 1991 Georgia declared its independence from the Soviet Union. 1992 A U.S. Federal Court found former Panamanian dictator Manuel Noriega guilty of drug and racketeering charges. He was sentenced to 30 years in prison. 1992 John Major‘s Conservative Party won an unprecedented fourth general election victory. 1999 Ibrahim Baré Maïnassara, President of Niger, was assassinated. 2002 The funeral of Queen Elizabeth, the Queen Mother at Westminster Abbey. 2003 2003 invasion of Iraq: Baghdad fell to American forces. 2005 Charles, Prince of Wales married Camilla Parker Bowles. 2009 In Tbilisi, Georgia, up to 60,000 people protested against the government of Mikheil Saakashvili. 2011 – A gunman murdered five people, injured eleven, and committed suicide in a mall in the Netherlands. 2013 – A gunman murdered 13 people in a spree shooting in the village of Velika Ivanča, Serbia. 2014 – A student stabbed 20 people at Franklin Regional High School in Murrysville, Pennsylvania. You are currently browsing the Homepaddock blog archives for the day Sunday, April 9th, 2017.